The official website of Viola Spolin, originator of theater games and mother of improvisational theater. Playing "New York" in Stockholm! 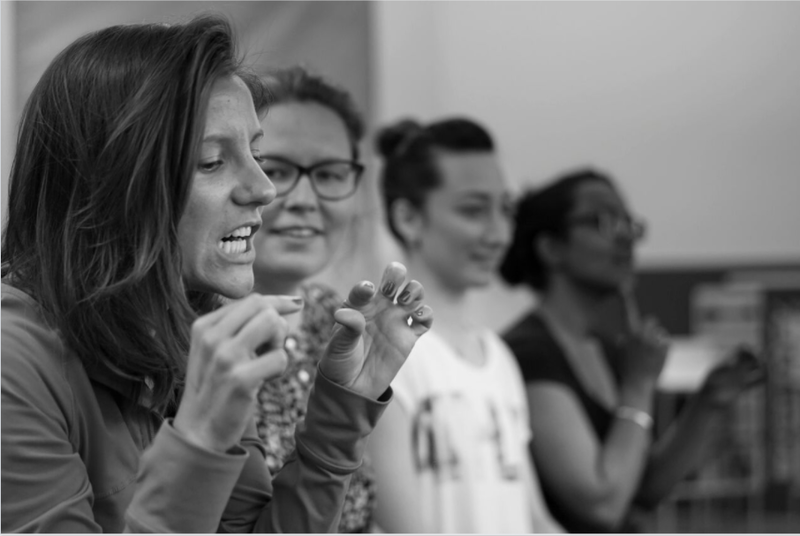 This June, Sills/Spolin Theater Works was delighted to visit the Stockholm International School in Sweden, where Aretha Sills side-coached a two-day teacher-training workshop in Viola Spolin's Theater Games for educators from around the globe. Please see the wonderful photos below by Vega Ebbersten. In the first photo, we're playing the traditional children's game, "New York." Our Swedish host informed us they play a similar game called "Here We Come." Sills/Spolin Theater Works educators are available to bring workshops in Theater Games and Story Theater to your school or organization. 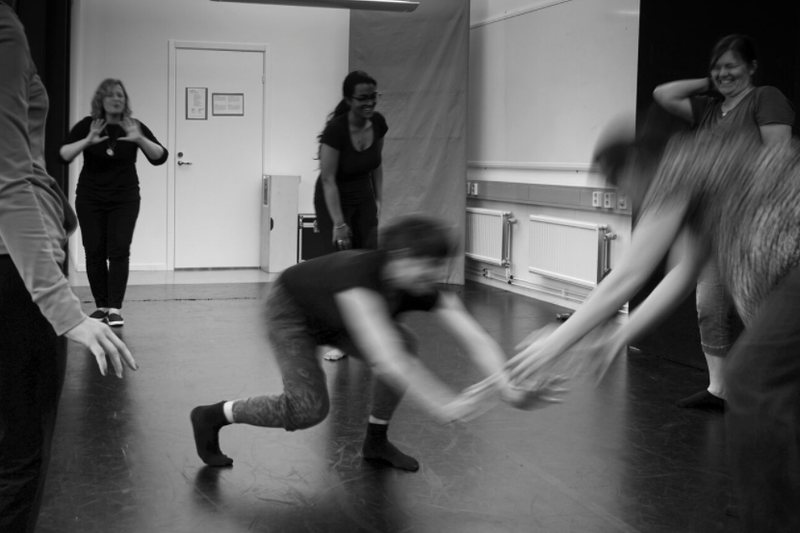 We also direct productions, offer teacher training, and speak to groups about Viola Spolin, Paul Sills, and the history of improvisational theater in America. Contact us with inquiries. Aretha Sills speaking about Jane Addams, 2017 Global Improvisation Initiative Symposium. On May 12th, Aretha Sills of Sills/Spolin Theater Works gave a talk at the first annual Global Improvisation Initiative Symposium at University of California, Irvine. Titled "A Search for Community: Neva Boyd, Viola Spolin, Paul Sills, and the Origins of Improvisational Theater in the U.S.", the talk and Q&A traced the roots of their work to the radical Progressive-era philosophies cultivated at Jane Addams’ Hull House in Chicago using stories, personal history, photographs, and Spolin and Sills' own words and writing. In 1955, Paul Sills’ called the new improvisational theater, Compass, “a search for a community.” Viola Spolin (originator of Theater Games and author of Improvisation for the Theater) and Paul Sills (founding director of Compass, The Second City, and Story Theater) created a form of theater that celebrated American ideals of liberty, community, and democracy. Sills/Spolin Theater Works educators are available to bring workshops in Theater Games and Story Theater to your school or organization. 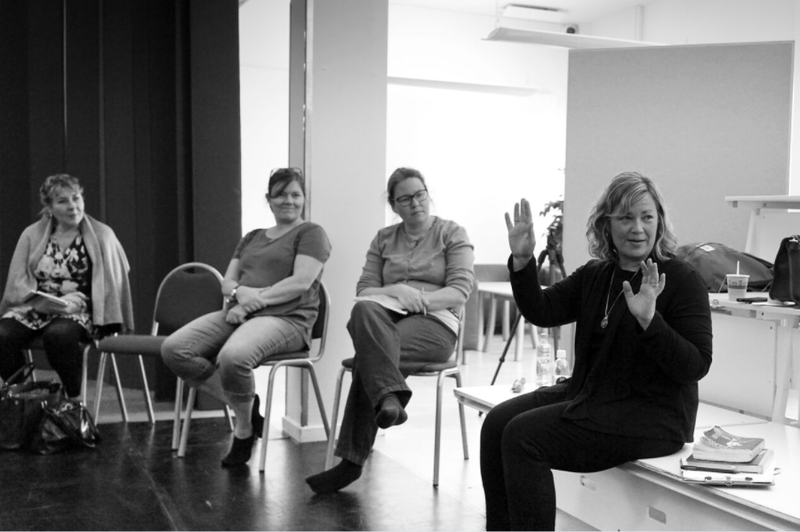 We also direct productions, offer teacher training, and speak to groups about Viola Spolin, Paul Sills, and the history of improvisational theater in America. Director of Sills/Spolin Theater Works, Carol Sills, recently met with the legendary Ed Asner to talk about his time at the University of Chicago and Playwrights Theatre Club, where he worked with Paul Sills, Viola Spolin, Mike Nichols, Elaine May, David Shepherd, and many other important figures in American theater. You can see a condensed version of their conversation in the video below. We'll be sharing more of Ed's great stories next week. Many thanks to Ed for his warmth and generosity in sharing his memories with us, and to Liza Asner for her help arranging the shoot. We're deeply grateful to Carol Gray, who shot and edited the video, and to Lucas Gray for consulting. We hope you enjoy the first in our Sills/Spolin Theater Works Interview series! Be sure to "like" the Facebook page for Sills/Spolin Theater Works to get news, and visit PaulSills.com for information about upcoming improvisational theater intensives at Paul Sills' Wisconsin Theater Game Center. Learn more about the life and work of Viola Spolin here. Support Sills/Spolin Theater Works: Our First Year-End Fund Drive! 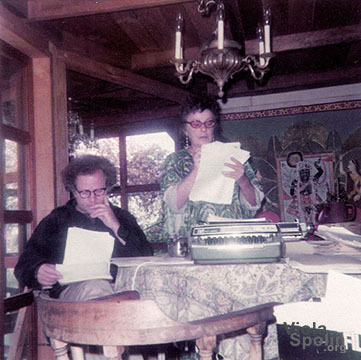 Paul Sills and Viola Spolin at work. Los Angeles, 1974. We’re happy to announce our new website, ViolaSpolin.org, the official online home of Viola Spolin! It features the most comprehensive biography of Viola anywhere, fantastic archival photographs, plus news about workshops, outreach, publications, and more. We hope you'll look around and sign up for the newsletter to receive periodic updates. When planning your year-end giving, please remember us. We're preparing Paul Sills' writings for editing and publication and need to transcribe a vast amount of material on improvisational theater, the correspondence of Viola Spolin and Paul Sills, as well as many unpublished shows. His thinking remains as important today as when he surprised us with artistic feats from 1952 to 2007. If you'd love to read this work, please consider making a tax-deductible donation via our fiscal sponsor Fractured Atlas here. Thank you so much. Sharing this message is also a welcome form of support! You can read more about our upcoming projects here.